Love, Leticia. 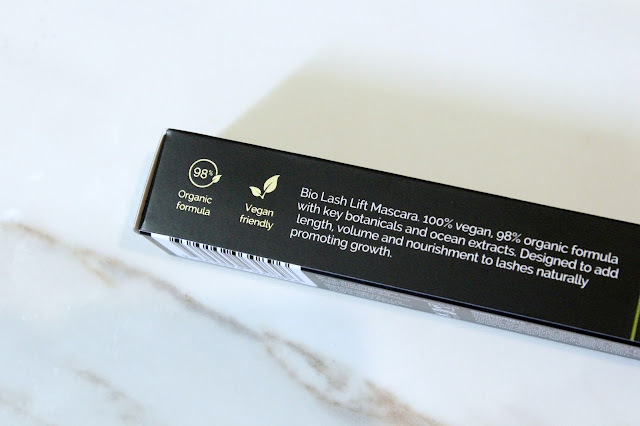 : Eye of Horus *NEW* Vegan Mascara! Unfortunately due to personal issues I am taking a mental health break and won't be filming a video this week. I was planning on doing a more in depth review, but I hope this will suffice for now! 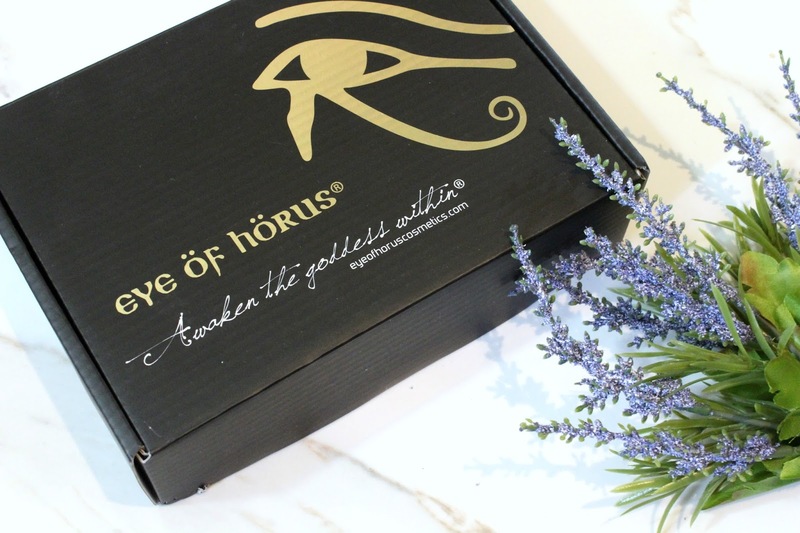 I was so excited to receive this gorgeous package from Eye of Horus, but was even MORE excited to rave about the products after trying them for some time now! I love showing others outside of the vegan community how many options they truly have, and with brands like this continuously adding to our list of great products- my job becomes that much easier! 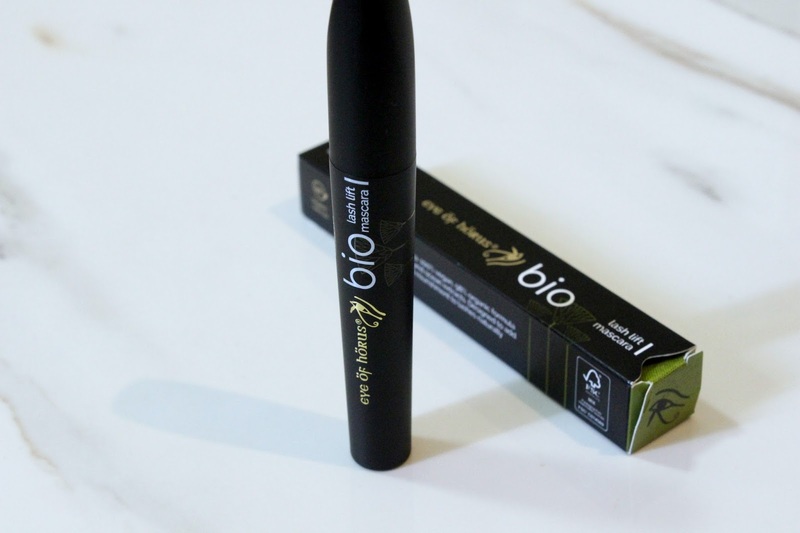 I actually received 2 different things, but I wanted to start this post with their bio lash lift mascara. 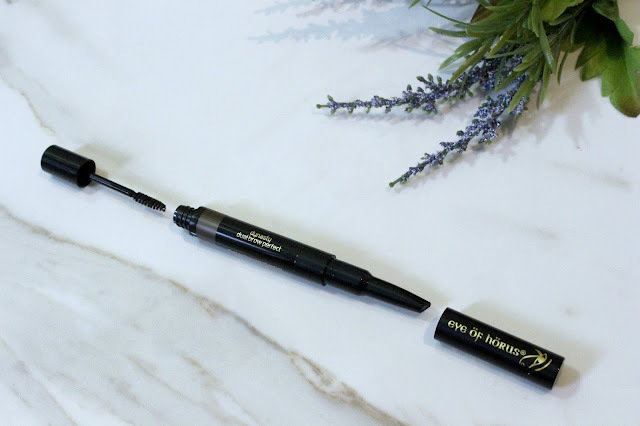 Although they are very well-known for their cruelty-free & vegan makeup, this mascara is one of their most popular products- and up until now it was NOT vegan as it contained beeswax! This mascara claims to change your eyes in a dramatic fashion: adding length, volume & nourishment while naturally promoting growth. I find it extremely important when brands listen to their consumers and care enough to change certain products to match their needs. Changing the formula to be vegan is not only incredibly exciting for vegans themselves, but also for our bee friends everywhere! I cannot applaud Eye of Horus enough for being able to produce high-quality makeup while being wonderfully inclusive. 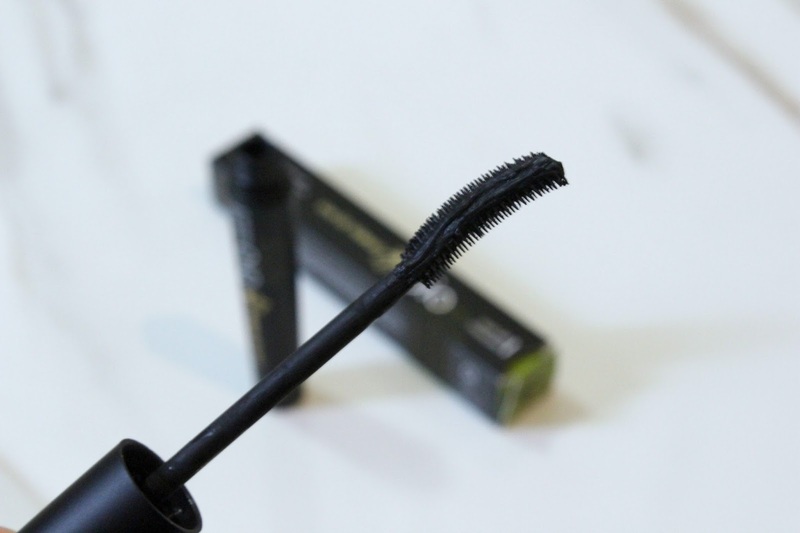 I absolutely love wands that are more plastic-like rather than filled with thick bristles as I find that it truly helps add length to my lashes while combing through them. Not only that, but the penetration of my lash line (insert that's what she said joke here) helps promote/stimulate lash growth! I had a rough day full of crying, so I was not able to snap a good before/after shot- but I promise to update this post with one once I can wear makeup again! For now here is a quick one from my phone. The brows are part of the next review you'll read in just a moment, but I was very impressed with the mascara! I didn't have any eyeliner on whatsoever, but the volume it added definitely gave the impression of it being present. 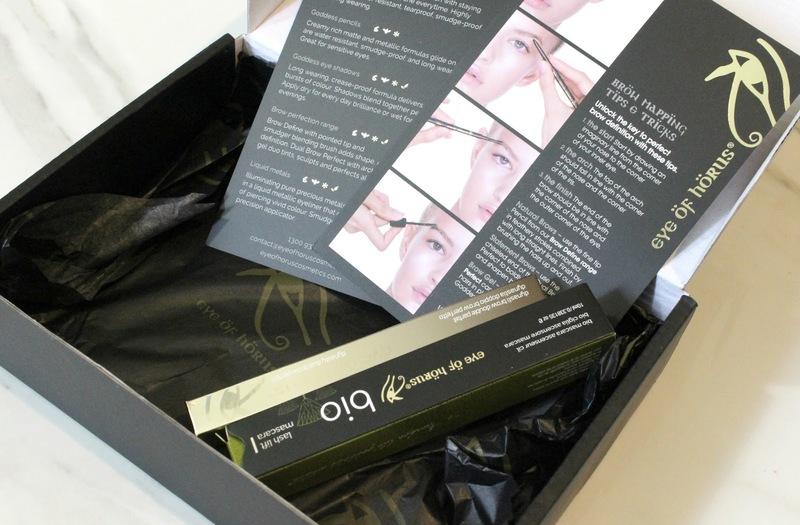 You can get so close to your lash-line that it almost fills it in for you without the need of a secondary product. 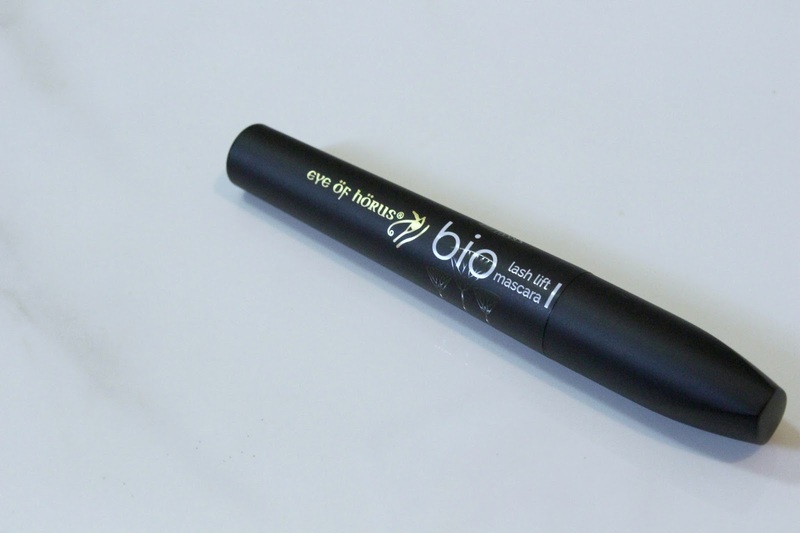 It is super easy to apply and really holds a curl while being buildable and coating hard to reach short lashes. I thought the wand would be tricky to use as it isn't your conventional design, but it was quite easy! It doesn't clump, flake or transfer and dries pretty quickly. On top of that, it stays on all day without being difficult to remove! Truly an awesome one-of-a-kind formula. The second product I was sent is their "dual brow perfect" in the shade 'dynasty'. This is a pretty close dupe to Anastasia's brow definer in medium brown. 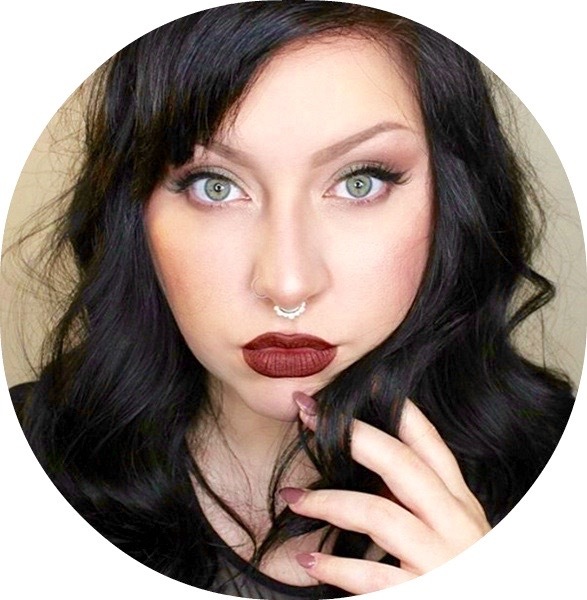 I was able to still give my brow the shape I wanted while giving the illusion of more hair in a matter of seconds. I love that the shade I picked ended up not being too warm or too dark. 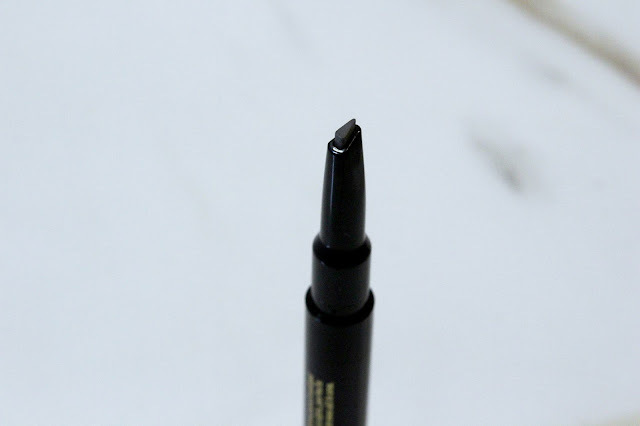 Although I normally prefer a more fine tip as my brows are nearly non-existent, I found this much easier to use than expected! 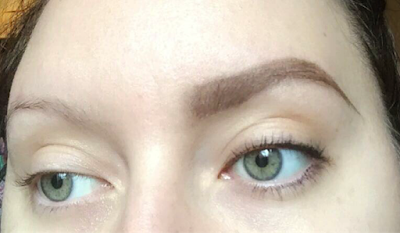 It produced about the same results as using my usual brow wiz but at half the time! I also loved having the brow gel conveniently on the other end so I could brush through my brows and keep them in place all day. It had a slight tint, but nothing too dramatic (which I preferred as dramatic tints often make the brows look less natural/too harsh). I honestly cannot say good enough things about Eye of Horus and the items I was sent! I am truly impressed and can't wait to try more products from them in the near future! The mascara launched November 1st, so you can officially get your hands on it now! DISCOUNT: Use the code BIOLAUNCH for 20% off! I am in love with their new mascara and I am so glad it's vegan friendly. I love that it adds a lot of volume and length but still looks natural! When blood glucose levels become too high, the pressure inside the blood vessels of the body increases and the small blood vessels found in the eyes are particularly susceptible to hemorrhaging as a result of this increased pressure. The advancement of technology in recent time has brought about many changes in the medical science field. A clear and simple example of such improved technology is laser eye surgery.